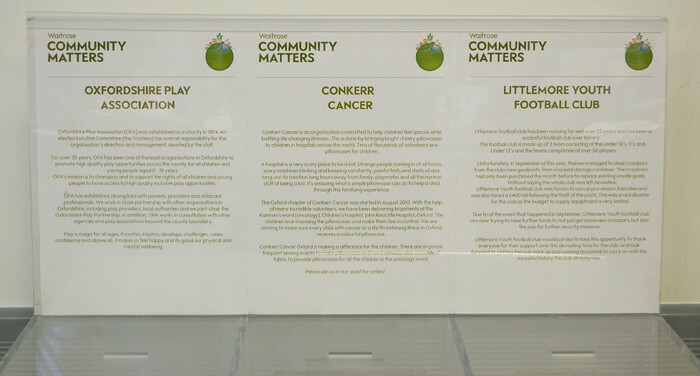 Have you heard of the Community Matters program at Waitrose? The branch in Headington donates 1000 pounds distributed between three local charities. 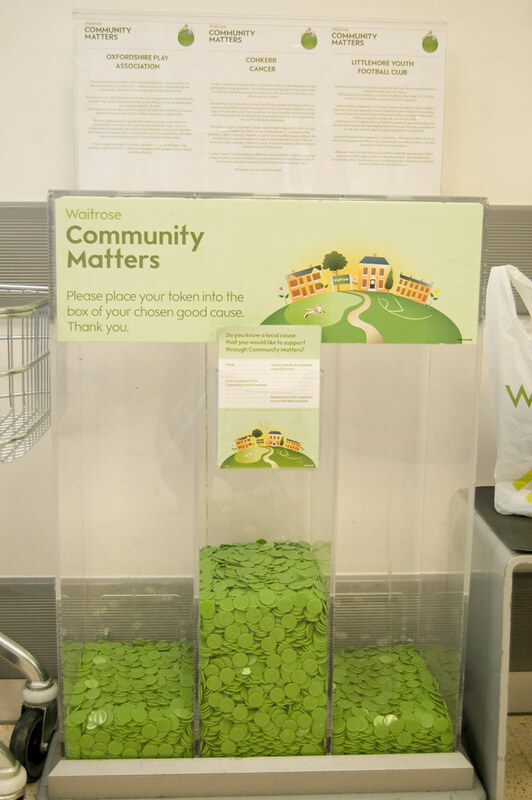 At the checkout, the clients receive a green token, which is placed in the box of the charities they would like to support. The more tokens a charity gets, the bigger the donation they receive. Guess what?? ConKerr cancer Oxford was selected as one of the charities for the month of December 2010. We are extremely happy and grateful for this!! And, towards the 20th December it was going quite well, don't you think?? It seems 600 pounds will go to conKerr cancer Oxford. Amazing Waitrose!!! Thank you so much! This was a wonderful Christmas present and will definitely bring many smiles to the children with cancer at the Kamran's ward.